My mother died two days ago. Possibly three. We were estranged for twenty years, so I’m getting conflicting stories from different relatives. What is certain is that she is gone and, regardless of how our relationship as mother and son played out, the pain I now feel is keen and deep. Having some sense of the how, when and where of her passing would provide some comfort, but it seemed more important to my relatives to immediately send me a form to sign relinquishing all claims to her estate and personal property before telling me anything. Additional info would presumably be furnished upon compliance. This should tell you a great deal about my family. Each life is like a small voice. Even before it begins to speak, this voice contains within it a story all its own: a story complete with its own unique nature, desires and impulses. Childhood is like that voice whispering, testing out its story on the world. Parents are always quick to demonstrate how their child is like them. But most I’ve encountered are just as quick to harken to that voice and celebrate its uniqueness. In my ten years as a teacher, I saw countless parents labor to nurture their child’s identity, listening to and encouraging that voice to find its adult volume. It’s an amazing process to witness. In my experience, as a child grows and assumes his own sure identity, his voice invariably falls into harmony with the world’s. My mother took a different view. My voice was less important, she was convinced, than the song she would train it to sing. It did not matter that that voice had no interest in singing, any more than I had an interest in attending an all boy’s school. At every turn, my mother sought to shape, influence and direct that voice into a tone and timbre of her choosing. Much of this had to do with her own class ambitions. Seeking to discover my story was less important than my learning to ape the manners and cultural forms of the upper classes to whose ranks she aspired. My being subjected – unprepared and unsupported – to the whimsical cruelties of their education and training practices was more important than remaining true to my own nature and becoming who I was meant to be. At every turn, my voice was shouted down. It would be decades before I understood what was happening to me. By the time I reached adolescence – that period of preparing to launch into adult life – my voice, barely above a whisper, was spewing word salad. I had been taught to so thoroughly distrust my own intuition and impulses that my voice no longer even recognized its own story. I eventually rebelled, but only at great cost. 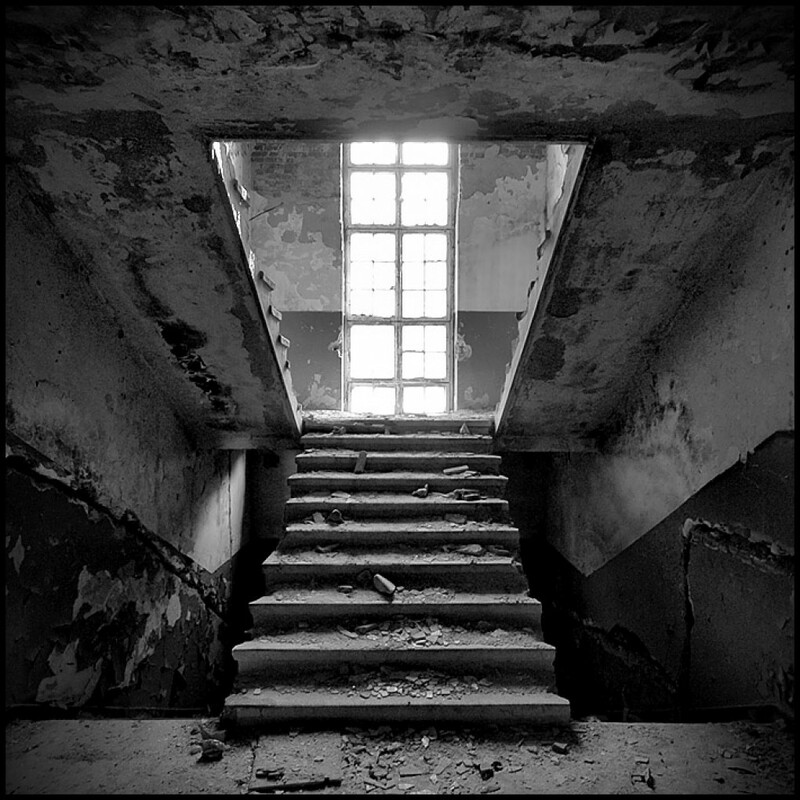 When I resisted the path laid out for me as completely incongruous with my own shattered nature (what was left of it that I could recognize, anyway) I was met with screams, threats, violence. When those failed, they were replaced with coercion and manipulation. I refused to go into the family business (the one that resulted in my parents’ arrest and indictment by a Federal grand jury). No matter what violence I encountered, I resisted. The need to discover my own voice had grown impossible to ignore. In the years that followed, much happened. The aforementioned indictment and arrest, my father’s death, the dissolution of everything they had built: all this I watched from afar. Sadly, I missed whatever people do in their twenties to individuate as circumstances forced me to struggle for survival. But, when the smoke had cleared, I picked my way through the wreckage back toward my mother. She was all I had left, and I hoped to re-establish a relationship within a framework more solidly grounded in reality. Yet it soon became obvious that she had learned nothing. She quickly fell into old patterns. When she was confident that I wasn’t going anywhere, the efforts to shape, manipulate and mould my life, to steal my voice – one that had just begun telling its unique story, and at great cost – returned. It infiltrated my private and professional life. I tried very hard, for many years, to maintain contact despite the negative effect it was having on my well-being. But only after she chased away the second very serious girlfriend of my thirties did I realize that as long as I was in her orbit, it would be impossible for me to self-actualize. That voice I was struggling to find and project would always be shouted down, by any means available. I wanted love. I wanted a family of my own. No one who lives as my mother did develops in a vacuum. Throughout my life I had been treated to the her birth family’s follies: the endless interpersonal squabbles, the constantly shifting alliances, the long-held grudges and scenes of dramatic confrontation. Long-stored resentments could be whipped out at a moment’s notice to refute an argument with its roots in the deep past. The only way to survive, it seemed, was for family members to gang up on each other and (you guessed it) shout each other down. Whoever lost was expected to calmly sit and accept the family narrative as imposed, regardless of how poorly they fared within its storyline. Theirs is a remarkable fantasy world, as richly-imagined as Tolkien, and every bit as untethered from reality. I’m doing my best right now to cope with the abusive e-mails I am receiving. Despite my bereavement, apparently I live in a family where it’s acceptable to send missives containing words like “despicable” and “sickening” and heartfelt wishes for destruction upon someone whose mother has just died. Apparently the stories are circulating that I am seeking to “cash in” (presumably because I refused to immediately sign over my rights to anything of hers). The speed with which their long-held contempt for me has become unleashed has been chilling. The process of shouting Jamie down – again – has begun. But these constant attacks on my voice and my story have had an unintended result: namely, that my need to assume control of the narrative of my own life and tell my own story assumed an importance as overriding as that of three meals a day or sleep. Not a big-shot by any means. But I have achieved a certain level of visibility. I have a small but dedicated readership, a number of whom have become close friends. And a welcome circle of people who know me through my work – editors, publishers, supportive colleagues. People capable of understanding the importance of my writing to me, who understand that it is, literally, a matter of psychic survival. At long last (and I am not convinced the process is entirely complete) I have found my voice. And as I watch the flaming denouement of my mother’s family, as I see them age and disintegrate, I realize how many decades I wasted believing they were anything but an impediment to my becoming who I am. Even now they continue to rehearse decades-old dramas. People who live artificial lives must always dwell in the past because, having constructed their identities on a lie, they must be endlessly self-referential, shouting down any voice that disagrees. As they are doing now. The same family that was only too happy to belly up to the hog trough and snuffle down their share of the wealth while my parents were riding high (pre-grand jury) now accuse me of greed. They’re busily fabricating new patches for the family quilt – ones in which, no doubt, I will feature as a timeless villain. But it doesn’t matter. And I’m telling the story now. Rest in peace, mom. In spite of everything, I love you. May you find peace in the Nightland. I will be leaving Permuted Press. This was a mutual decision, arrived at amicably and in consultation with the management at Permuted. I want to take this opportunity to thank Michael L. Wilson and his team for the chance to publish my work, make some great professional contacts and have lots of fun in the process. I would gladly do it again. I am presently in negotiation with other publishers regarding upcoming projects. 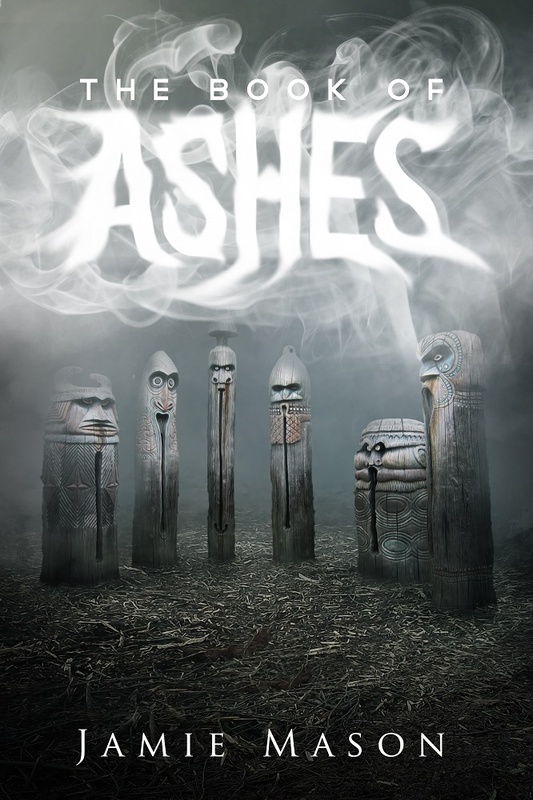 THE BOOK OF ASHES, coming this December, will be my last book with Permuted. By popular demand, the story of that time I almost got to write for STAR TREK: THE NEXT GENERATION. On 28 September 1987 I, along with everybody else, was parked in front of a television watching the pilot episode. 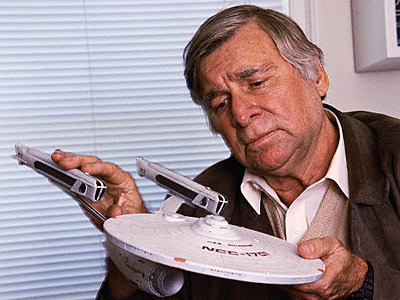 I was a third year student at the University of Arizona whose enjoyment of the original series in re-run had instilled my ideal of sci-fi television grounded in the work of Harlan Ellison, Charles Beaumont and Norman Spinrad – science fiction greats who had turned their hands to writing STAR TREK scripts which justly became some of the most influential episodes in television history. What excited me about the original TREK was its willingness to discuss Big Ideas™ on the small screen. And, having been bitten by the writing bug, what excited me about THE NEXT GENERATION was the possibility of contributing to that cultural conversation. I was twenty-one. Three years as an undergraduate English major had taught me, if nothing else, to do research. I videotaped and watched the pilot twice through, identifying character names from the closing credits, noting changes to the world of the United Federation since the original series and, as the first season progressed, relationships develop between crew members aboard the sleek new Enterprise-D. Having had a few scripts produced for a local community access cable show, I knew the basics of writing a teleplay. I had also read enough literary science fiction to have a sense of its breadth and possibility. I was quite sure the new show would be flooded with unsolicited submissions, so sought to write something that would stand out. That first season, episodes alternated between a half-hour and an hour-long format. I crafted a half-hour tale about an alien being that inadvertently finds itself a stowaway onboard the Enterprise. I framed it as a mystery and used the pairing of Dr. Crusher and security chief Tasha Yar as an opportunity to develop an unlikely friendship between the two women. After a few rewrites I felt I had something good. I held my breath, printed it and mailed my script (“The Shelter”) off to the STAR TREK production offices. About three weeks later, rushing out the door on my way to class, I grabbed a stack of mail without bothering to glance through it before jumping into the car. I made the lecture on time and, afterwards, paused on a bench outdoors to smoke a cigarette and rummage through mail. In amongst the bills and junk was a cream-colored envelope addressed to me with the STAR TREK logo in the upper left-hand corner. And there was a phone number. Take it easy, bub, I chided myself. One thing at a time. Breathing deeply and working to control my heartbeat, I found a bank machine and made a withdrawal. I converted twenty dollars to quarters, found a pay phone outside the economics building and, there in the blazing sun surrounded by a milling crowd of university students, dialed the number. A young woman answered. “STAR TREK production offices,” she said. I was shaking. I lit a cigarette. “I will,” I promised. And he hung up. I felt like I was standing atop a skyscraper in a windstorm. It was the fulcrum on which my life turned, only not in the way I imagined. Shortly after that phone call, my life would be overtaken by a series of catastrophes. My family would be rocked by successive scandals ending with a grand jury indictment and the arrest, by the FBI, of my mother and father. I would lose everything in the ensuing legal apocalypse, and be forced to start from scratch at a gig selling magazine subscriptions by phone for $4.75 an hour (the minimum wage in Arizona at the time). It would take me years to gain any semblance of financial stability and two marriages, several career changes and a return to Canada before I would start writing again with any regularity. But that phone call with a kind and gracious man on that hot October morning in Arizona remains with me to this day. I showed it to Gene … He loved it …. Eight words, and the proudest achievement of my life.